Once ready, publish your applications from your designer and now they can be accessed by the user community. For enterprise or large-scale applications, the LogicNets platform supports best practices for promoting versions from a development environment through to test, acceptance, and production stages each with their own dedicated infrastructure. 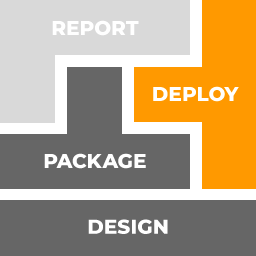 Scaling up with our cloud services is also easy, allowing you to fully manage the release and production life-cycles of your applications on your own. Monitor your applications to make sure they are available and properly servicing all your users. Some applications involve data that must be contained to a particular geographic region. Together with our hosting providers, we can tailor your data management requirements to your specific needs.